Possession of a controlled substance in recent years seems to be as normal as getting a parking ticket. More and more people are finding themselves in situations where they are caught in the wrong place at the wrong time. Oftentimes these encounters stem from bad decision making or outside influence. Peer pressure plays a heavy roll in the decision-making process for many people. It is very apparent (not just from television shows) that prosecutors almost always have a choice when it comes to bringing charges against a person. 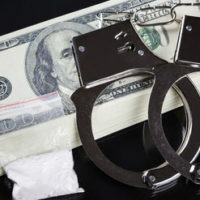 The prosecutor may assess the circumstances with a well-trained eye to determine if a person should necessarily be charged with a felony drug offense where there is no previous record and it is clear the amount was just over the threshold mark for a felony charge. However, the circumstances are different for each case, and special situations and delicate details are always considered. Regardless of the situation, however, if you have been charged with possession of a controlled substance, it is imperative that you reach out to an attorney immediately for help. The list is extensive and contains chemical compounds many people did not know existed. If you are potentially dealing with a hazardous chemical, it is always smart to consult to the list to determine if you are using the chemical both properly and legally. There are different spectrums of penalties available depending on the classification of the substance charged. Florida law states that an individual may not attempt to sell, produce, or deliver/produce with the intent to sell. Florida law further separates crimes into misdemeanors and felonies, which generally depends upon the amount in possession. Both the misdemeanor and felony classifications also include degrees of the crime which determine the penalty. Most recently in West Palm Beach, a police officer’s wife was found guilty of possession of marijuana (cannabis) with the intent to distribute. As Florida defines cannabis as a controlled substance, she was sentenced to four years of probation and likely a fine. If you have been charged with possession of a controlled substance in West Palm Beach, it is imperative that you contact an attorney for help with your case. Don’t hesitate to reach out to Perlet & Shiner, P.A. and let an experienced attorney guide you throughout each step of your case.